Are you looking for an honest and reliable solution for your pet when you are away from home? 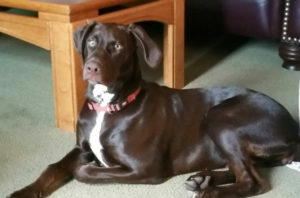 FourPups™ Pet Sitting Service is the perfect solution for both you and your pet while you are on vacation, a business trip or just a long day of errands. We provide everything from fresh water and food to medications and walks, and, of course, plenty of love. Contact us today to schedule one of our great services for your furry best friend! Your dog is your best friend – a part of your family – and you want what’s best for him to live a happy and healthy life. That’s why we created Dobbles™ healthy dog treats by FourPups™ – the gluten free, all natural, whole-oat cookie made exclusively for dogs. 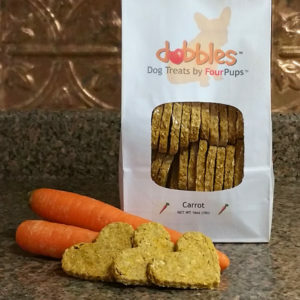 Each heart-shaped, hand-made treat is baked fresh with every order using all natural ingredients that are beneficial to your dog’s overall health and well-being. Treat your best friend to the wholesome, healthful snack that they’re sure to love. 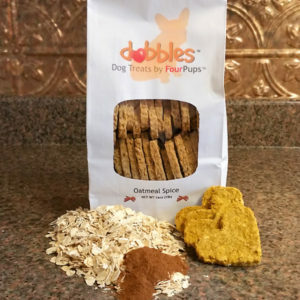 Visit our shop to place your Dobbles™ healthy dog treat order today! Thank you for making yummy treats for our fur babies! I'm glad we found something they love that is actually healthy and not made with fillers or other junk. They love all of your flavors. Keep them coming! Our dog Coco loves Dobbles™, and we love Dobbles™ because they are all natural – so we don't mind giving him more than one! You know these treats are natural because when you read the ingredients, you can actually pronounce them... unlike most treats which have words that might not even be in the English language. I have a 3 year old Samoyed with dietary restrictions due to a sensitive stomach. I bought these cookies for my dog for Christmas. 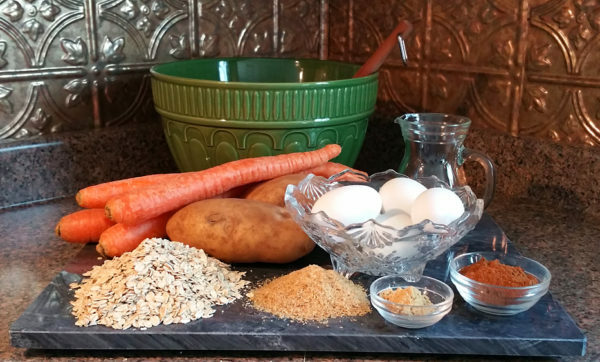 Not only did she love them, but due to the healthy ingredients, she's had no problem with her stomach. I just recently purchased a bag of all 3 varieties for her as a treat. You are doing a fantastic job making these and such a great product for dog owners! No need to worry about what I'm feeding my puppy now. Thank you for creating these! Skye says WOOF WOOF – they're delicious! 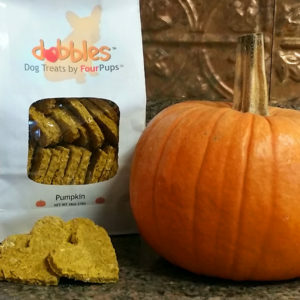 Dobbles™ by FourPups™ are both of my dogs' favorite treats. They love all of the flavors, and they cannot seem to get enough of them! Thank-you for creating such a healthy, tasty and cost-effective treat alternative. I have 2 dogs (a puggle and a pit/beagle mix) and they love these treats. The bonus is feeling good knowing you're providing your furry family with a healthy choice! The people at Dobbles™ are excellent!! Dobby loves these! The best part is that they are all natural and healthy for your dog. I have yet to see a dog that doesn't love them. Check out the site for great deals–its well worth it! Charlie loves these cookies, and they have become one of his favorites! It's nice to know exactly what’s he's eating and where it came from. Both Kayla & Gabi LOVE these treats. It's one of the few treats that I can get especially Kayla to take. I feel good knowing that it is good for them & made with love. Thanks again. Bogie, our coonhound, goes absolutely crazy for these! I normally feed him other high quality treats but he prefers these every time! I am extremely finicky about what I feed him since he is one of the loves of my life. When I saw the ingredients for these yummy smelling cookies, I didn't hesitate to give them to him. Although, I didn't really have a choice once he smelled them! My husband has even been tempted to eat them! Great stuff and I wish you luck! Doggie lovers should definitely try these out for their pooches! I learned about Dobbles™ heart cookies from two of the rescues I follow after adopting our two rescue pups 18 months ago. Minnie and Digby are both a little fussy about crunchy treats and usually prefer moist ones, but both gobbled up their Dobbles™. They are hand-made in small batches and healthy so I don't mind indulging the dogs when they are itching for a treat after being good all day. I tried the combo pack first, thinking they would prefer one flavor over another, but they loved them all. Thanks, Ginny, for putting so much thought, care, and love into your recipe. I will be ordering Dobbles™ again very soon!